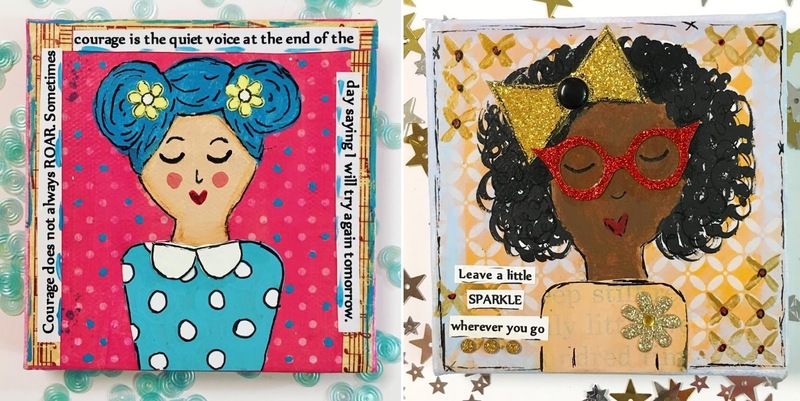 Encouraging, Uplifting Art in Bright, Happy Colors. Clever Mix of Papers, Paint & Playful Characters. How inspiring to meet someone who's committed to making time for art everyday! You'll find quite a few active crafters in the Planner community, and one such maker you should know is Rebecca Hoot of Create With Rebecca. 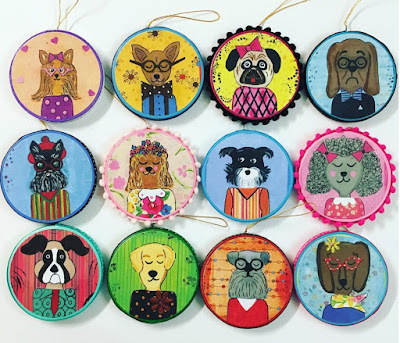 It’s not hard to see that Rebecca loves what she does with her bright and happy color palette. All of her pieces, be it mixed media or a specially curated planner kit, are rich with vibrant hues, all thematically appropriate to the subject matter. 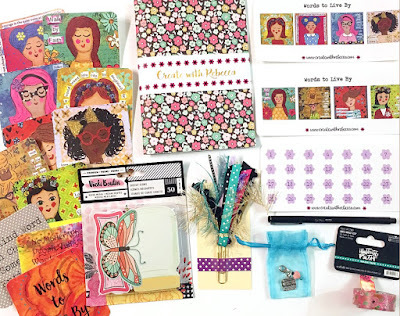 With Valentine’s Day coming up for example, she has a lovely collection of red and pink goodies for anyone who likes to journal or send handwritten letters. 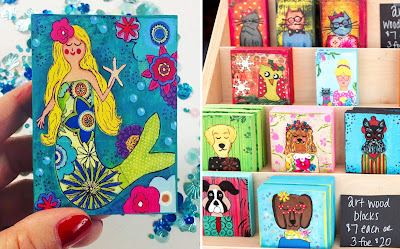 Her original artwork is very whimsical in style and inspirational in tone. I love her unique way of depicting cute, cartoon-like ladies, often with encouraging quotes to help you find joy in every activity. 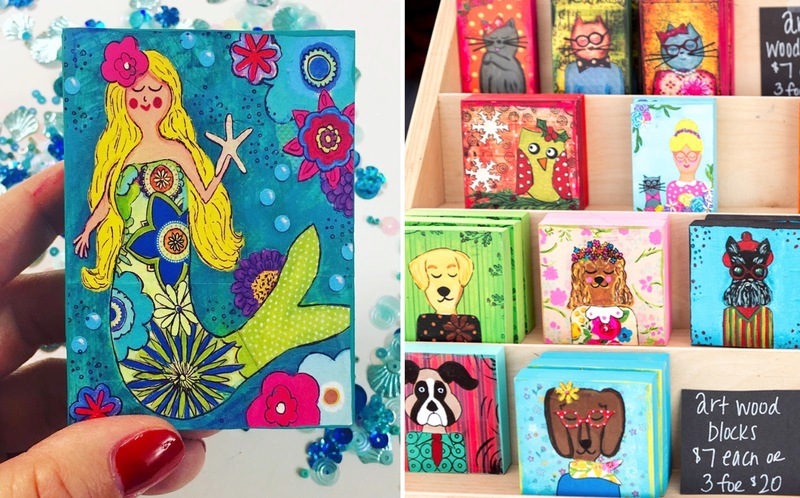 Her portraits of girls and pets are made with a mix of papers and paint. It’s neat to see how she inspectorates pattern without making her work busy. Fun and colorful are the best descriptors for her art blocks. 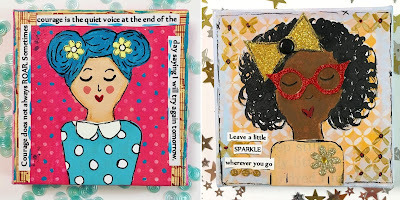 She turns many of these original works into notecards, stickers and more so they can be used in a variety of ways. Follow her on social media and you’ll see how she documents her life in art, a planner to the core. Rebecca and I have a similar appreciation of color, and it makes me happy to see her work. Each new original composition of girls with uplifting messages or adorable, personified animals is sweeter than the last. I’m glad you keep creating Rebecca, and thank you for offering supplies to help us do the same!